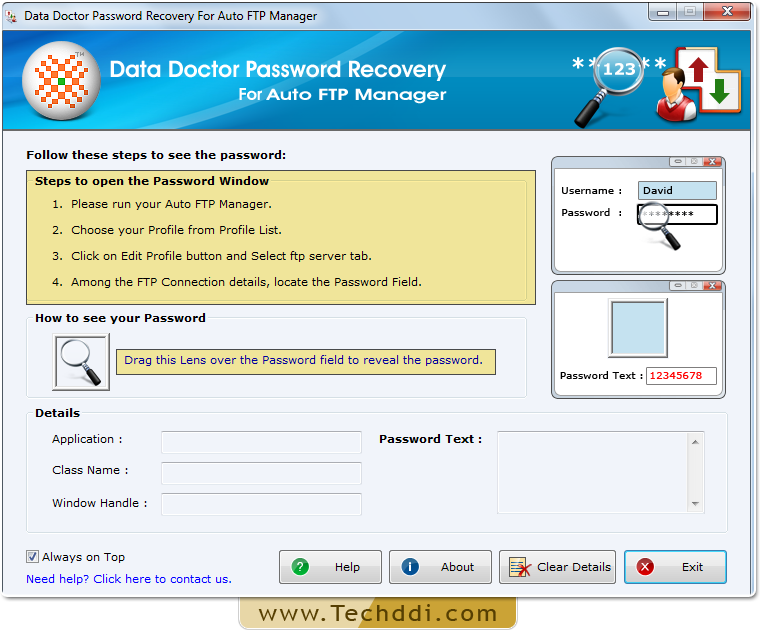 Password retrieval by Password Recovery Software For Auto FTP. 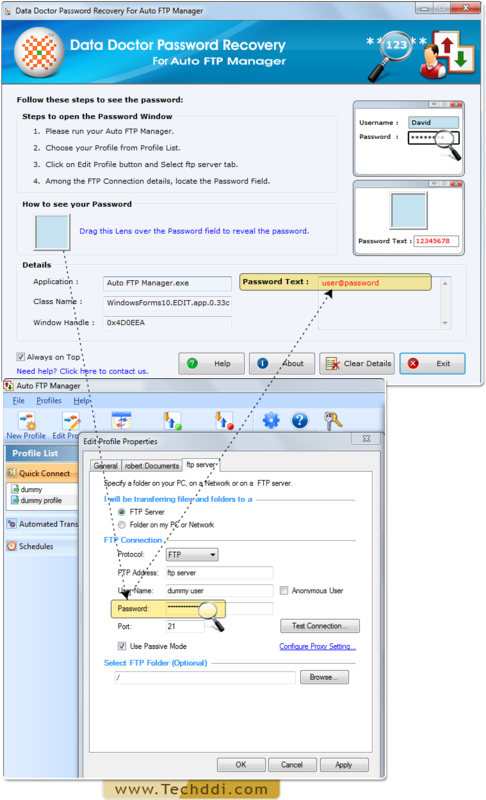 Open Auto FTP Manager and Choose your Profile from Profile List then Click on 'Edit Profile' button. 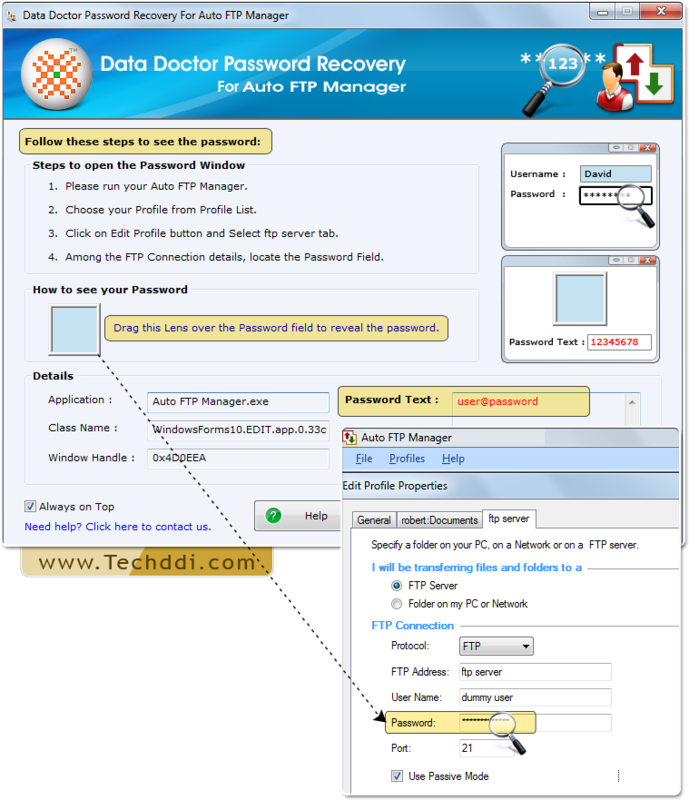 Locate the password field by dragging lens over it.